Looking for a good book? Look no further. 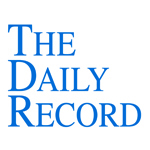 This week I wrote a special edition Daily Record column entitled "The Latest Innovations in Law From LegalTech." Last week in Manhattan, thousands attended LegalTech New York, hoping to catch up on the latest legal technologies and innovations. Every year, American Lawyer Media sponsors LegalTech, a conference intended to help lawyers and law firms stay updated on the latest advances in legal-related technology. LegalTech generally draws attendees from large law firms, ranging from attorneys to IT staff, although firms of all sizes are represented. The conference boasts multiple educational tracks, which focus on a variety of legal technology issues. Ediscovery is always a major focus, although the range of topics this year included knowledge management, records management, project management, social media, and cloud computing. The main exhibit floor included hundreds of booths featuring legal technology products, most of which focused on enterprise level solutions and ediscovery technologies. 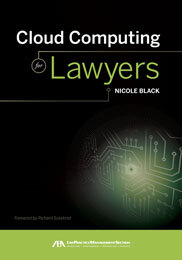 Like last year, however, cloud computing products were increasingly prevalent, including a number of new ediscovery products that leveraged the power of the cloud. The final keynote, held on the morning of February 2, 2011, offered attendees a interesting view of how one expert believed that the world—and the legal field—might function in 2020. Entitled “A look at the Law: 2020: A Radical Perspective on how Technology will Shape the Legal Industry 10 Years from Now. Will you be Ready?”, the talk focused on how emerging technologies will affect the delivery of legal services over the next decade. Rogers opened by explaining that as a “practical futurist,” his goal is to help businesses and industries think about and plan for the future. He does this using sociology, demographics, economics and cultural movements to predict trends and encompass his visions of change. He emphasized the speed with which virtualization and technological advancements are occurring, reminding attendees that just 9 years ago, in 2002, encyclopedias were still found on CD-ROMs and flip cell phones were the norm. By way of example, Rogers cited the music industry. Rogers explained that in the past, many core businesses, including the recording and journalism industries, considered themselves to be immune to disruptive changes, such as the Internet and failed to adapt. But, as events in recent years have shown, they are anything but immune. He noted that the music industry was particularly hard hit, with revenues of $14.6 billion in 1999, but only $6.3 billion in 2009. Rogers acknowledged that heavily regulated and professionalized fields such as the medical and legal fields are historically the most insulated from change, but warned that sooner or later, disruptive change cannot be ignored. Rogers likened the effect of virtualization and the Internet to the impact of cars or urbanization, noting that, like all major industries, the legal field is not immune and that virtualization is now having a rapid and profound effect on our profession. He then turned to the “Internet of Things”, which refers to the networked interconnection of everyday objects. Rogers explained that by 2020, technology will have advanced enough that it will be extremely inexpensive to build very small sensors and connect them to radios that will then connect to the Internet. He offered the example of connected cars, noting that “by 2020, most new cars will connect to the Internet,” enabling real time risk assessment. He explained that cars may send data evincing risky driving behavior to insurance companies, such as whether a particular car is speeding or whether its driver is repeatedly and excessively braking. Another technological advancement that Rogers believes will impact the legal field is increasingly intelligent systems, such as machine translation of documents from one language to another. Rogers acknowledged that while these tools will not replace lawyers, they will replace some of the functions that lawyers perform. Rogers then addressed the effect of virtual lawyering on the legal profession, noting that virtual law offices (VLOs) will be commonplace by 2020. He cited online banking as an example. At first banks were reluctant to allow customers to access their accounts and bank online, but now many segments of the population prefer to bank online. In fact, in recent years, customers 50 years and older have been some of the most frequent users of online banking services. Rogers predicted that VLOS will increase in numbers and that the increase will be driven, in part, due to the Millennial generation’s comfort level with online services. As this generation ages and becomes a larger segment of lawyers’ customer base, VLOs will become more prevalent. Millennials are more likely to trust online service providers and will expect the online delivery of legal services as a viable option. Rogers then emphasized the importance of being on the cutting edge of new developments in technology, using the New York Time’s adoption of the mobile web as an example. He described how, in 2005, the company’s research and development team advised that the mobile web was the future of the Internet. Based on that recommendation, the Times developed their mobile website early on, when labor was cheap and mobile web engineers were not in high demand. This foresight has been a huge boon for the Times, as evidenced by Steve Jobs using the Time’s mobile website as an example during the debut presentation of the iPhone in 2007.